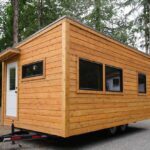 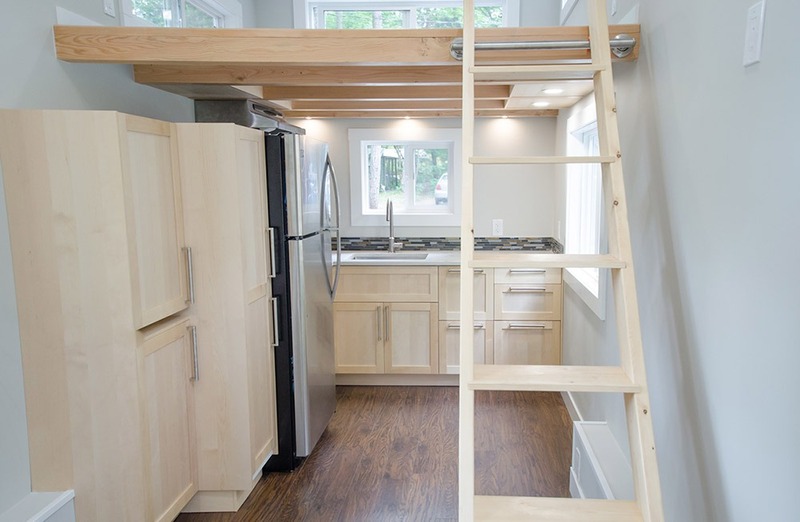 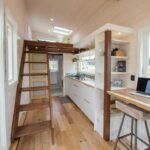 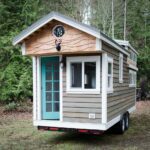 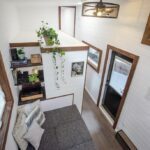 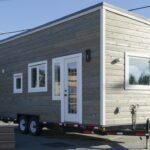 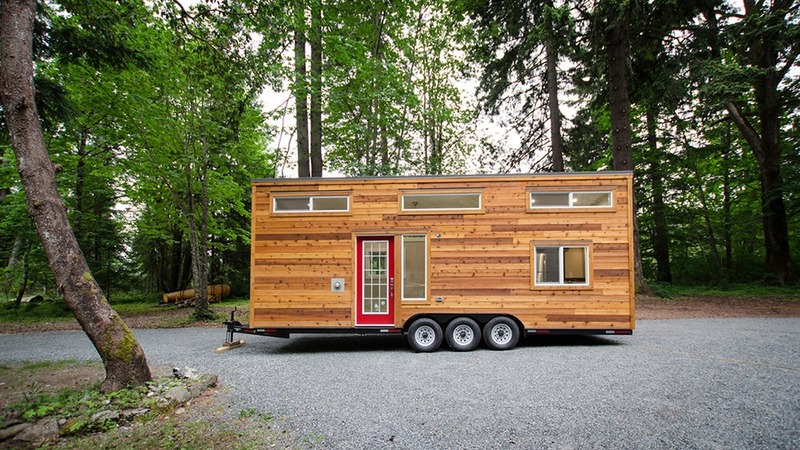 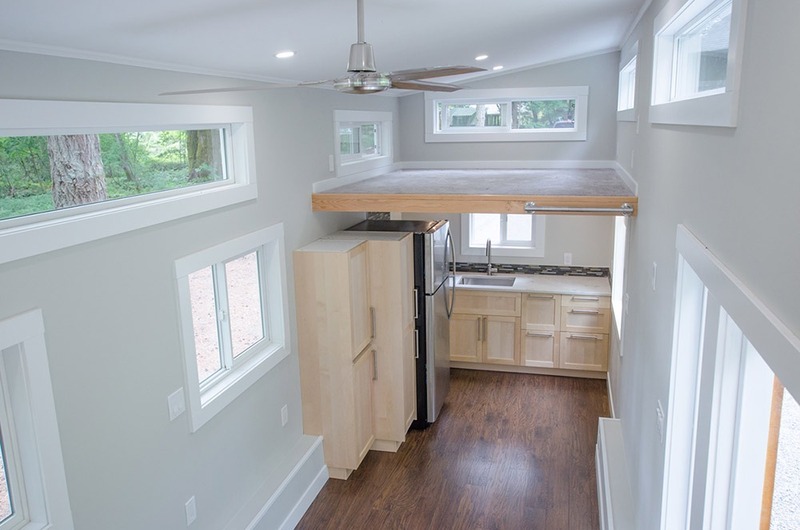 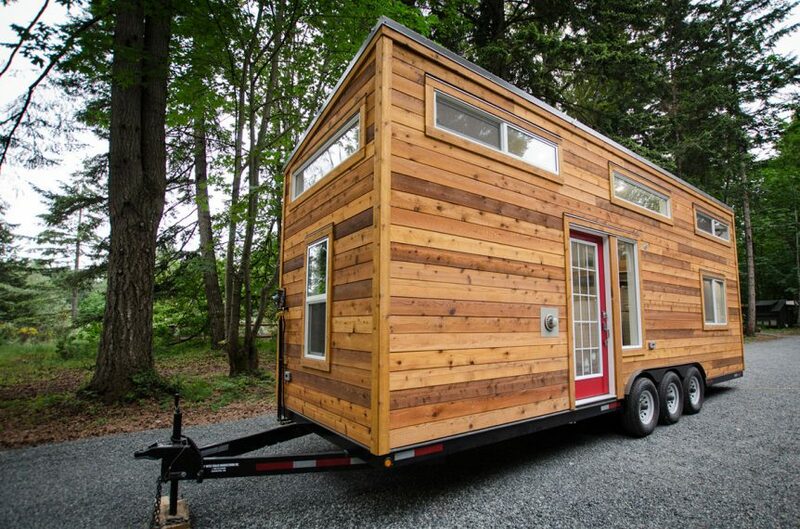 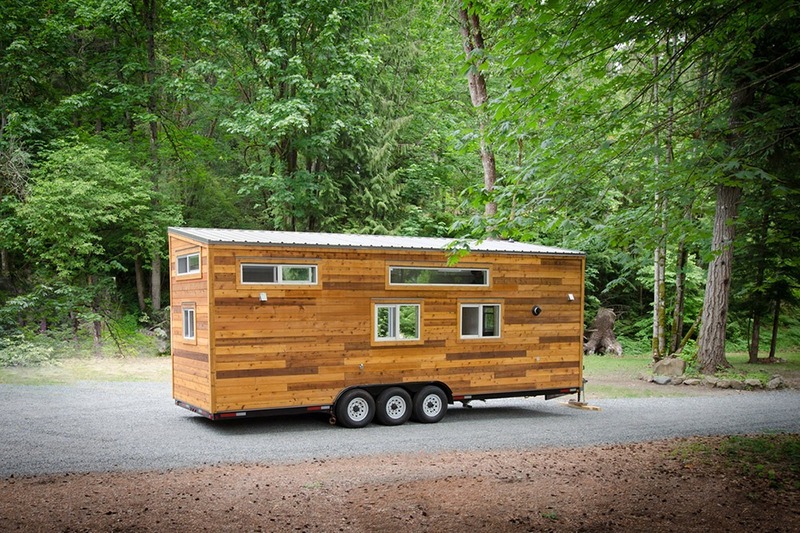 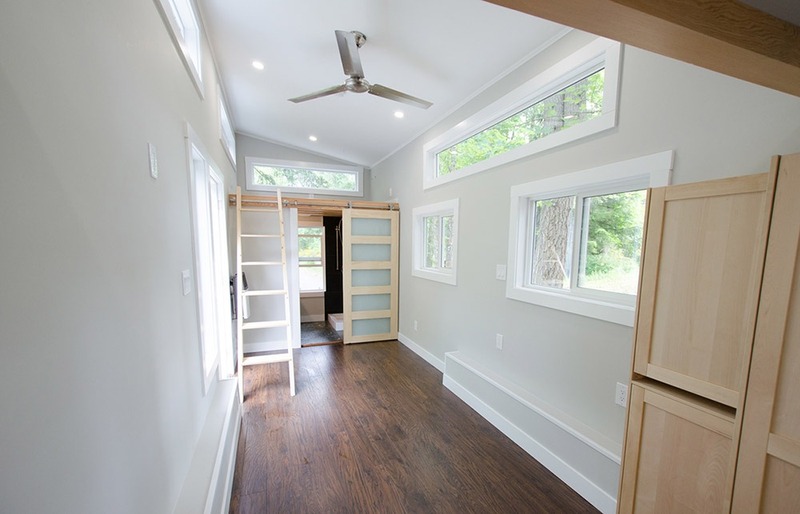 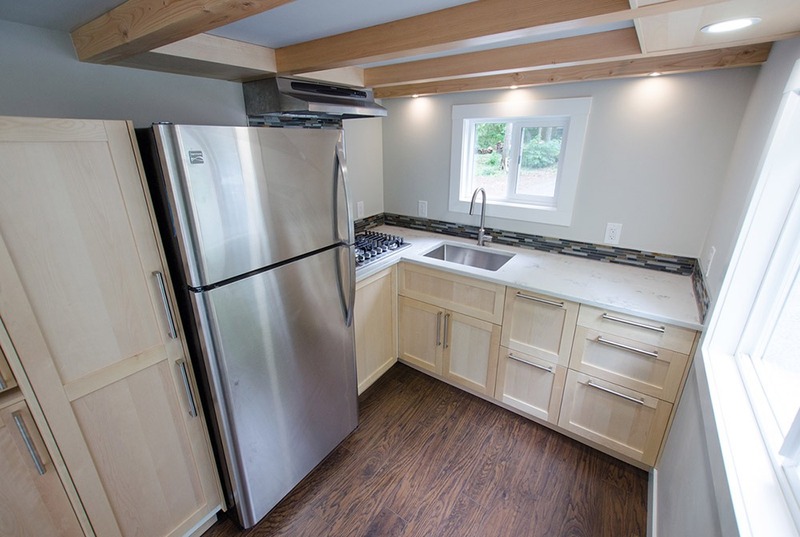 The Whisky Jack is a triple axle 8′ x 28′ custom built tiny house by Rewild Homes, based in Nanaimo, British Columbia. 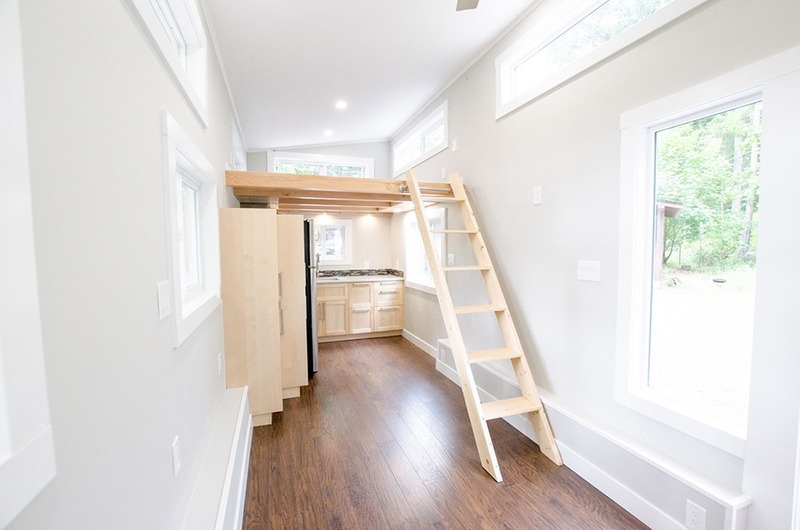 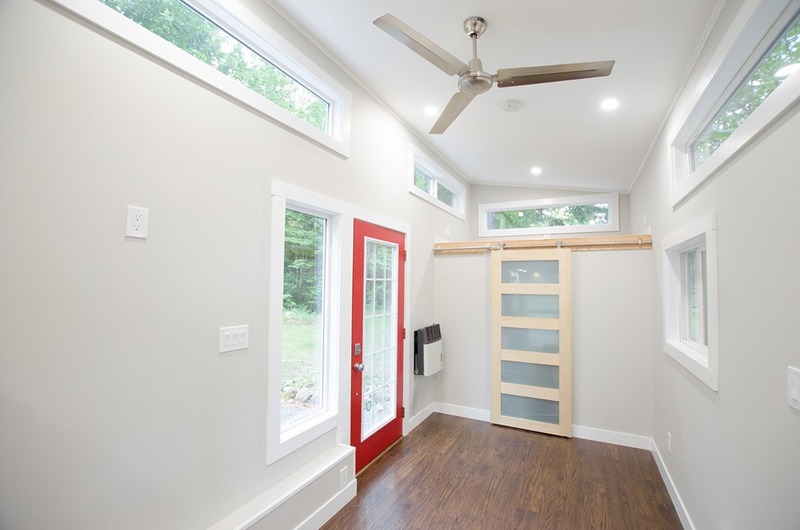 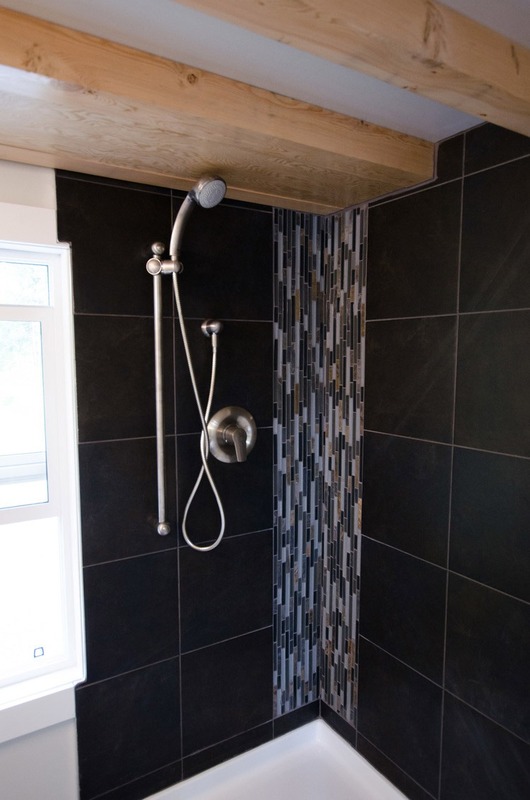 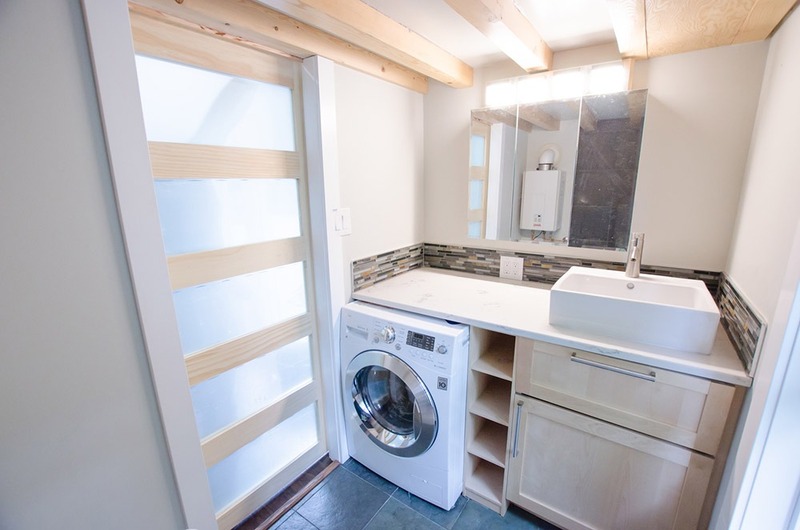 Rewild uses materials sourced from Vancouver Island and all of their homes are built using sustainable practices. 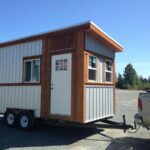 They enjoy supporting local businesses to help the local economy and keep their footprint as small as possible. 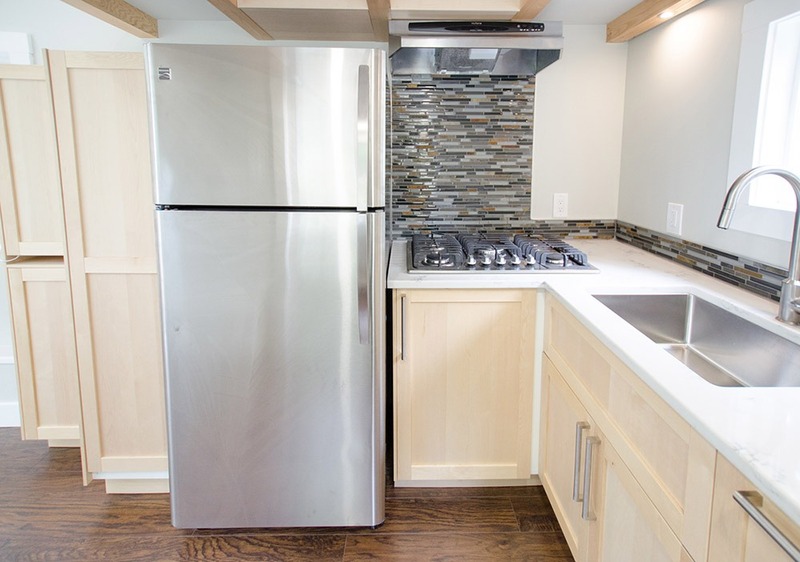 The kitchen has a full size refrigerator, five-burner stove and a nice pantry space.